Monday: Plan-Easy 30-35 minutes, with 3 x 30 second pickups with 2 minute recoveries mixed in. 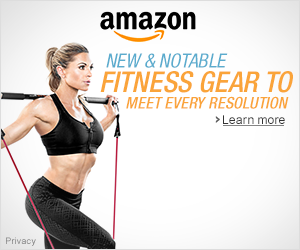 Not too fast – just pick it up to around half marathon pace. Rest of run should be around 9-10 pace. I ran for 35 minutes and did the 3×30 second pickups. I ended up with 3.59 miles with average pace of 9:46. I was still experiencing the same cough from last week. Tuesday: Plan-Rest day. Took my rest day. Wednesday: Plan-15 minutes easy, then 10 minute tempo (7:47-8:02) You can break this up into 5 minute sections if you feel like you are working too hard. (2.5 min recovery)then 10 minutes easy. 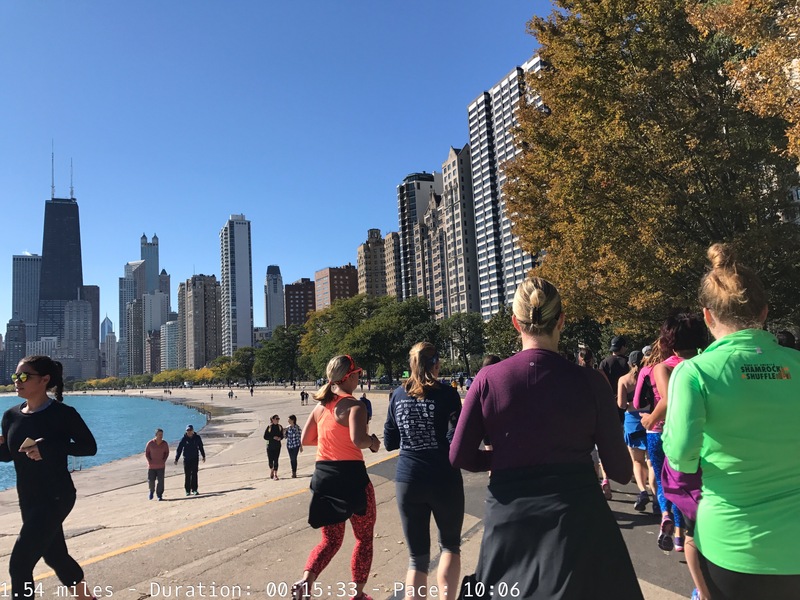 I ran the 15 minutes easy and 10 minute tempo with avg paces of 7:53 and 7:46. Then did the 10 minutes easy. I felt fine but still coughing. Thursday: Plan-Easy 25 minutes, pace no faster than 9:26 or heart rate under 142. Got my 25 mine easy run done, avg heart rate was 134. Friday: Plan-Rest Day. Had my rest day. I got into Chicago early after taking the red eye flight from PDX. Saturday: Plan-15-20 minutes with a couple strides. Do in the am(but try to sleep in), then try to stay off your feet as much as possible after. Went on Kelly Roberts’ group shakeout run. It was nice running by the water. My GPS didn’t start right away so it only clocked 1.54 miles but it was more like 2.2 miles. It was great meeting Kelly Roberts and we met some new friends on the run. Sunday – Race Day. I ran 26.36 miles according to my Garmin. It was a tough race with cramping but got sub 4, woohoo! Stay tuned for my race recap. Total miles = 37.9 miles. It was such a super week! I still can’t believe all things I got to experience besides running the streets of Chicago. 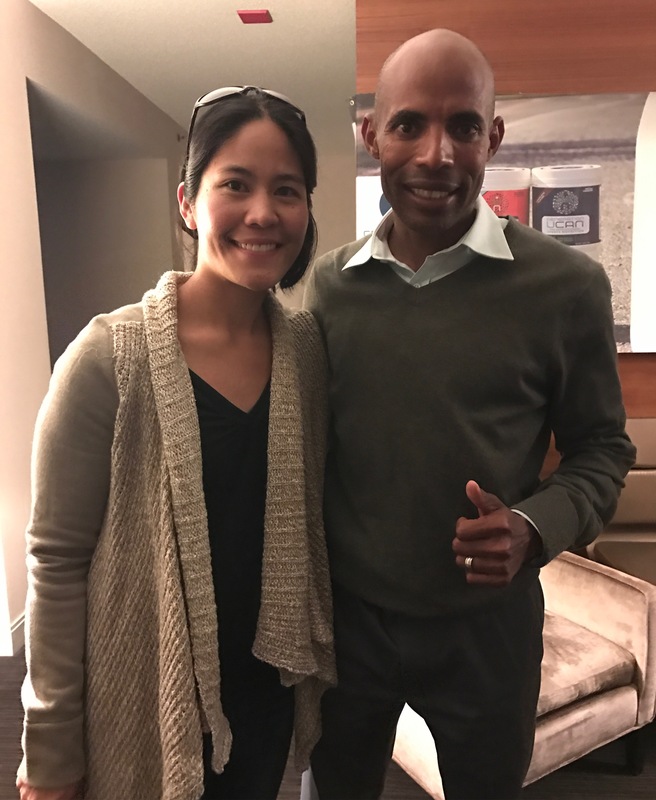 On Friday, I got to meet 4 time Olympian, Meb Keflezighi and elite athlete, Sarah Crouch, in an intimate setting. I felt so lucky to be able to tag along with Holly, Marcia, Wendy, and my sis!! We watched Meb and Sarah do a Facebook Live interview. 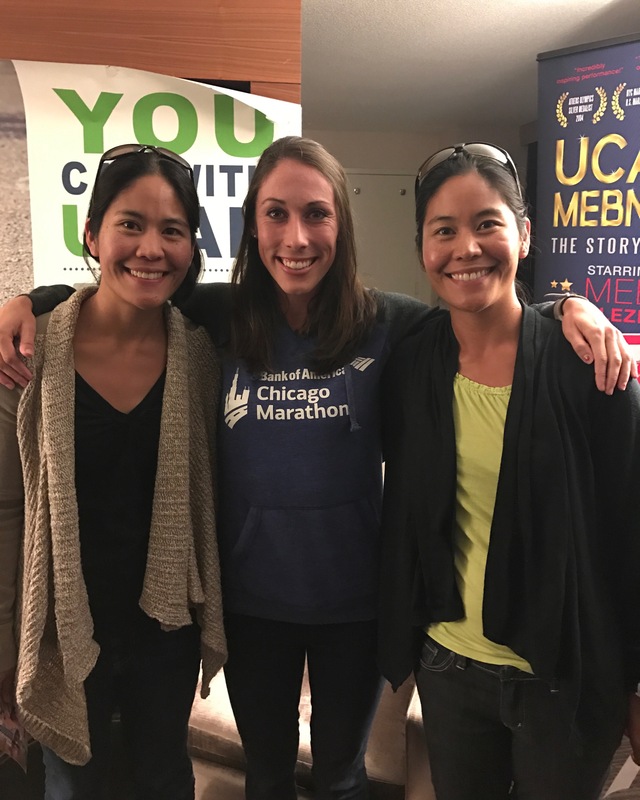 Also, we learned about UCAN, a new generation of nutrition, which Meb and Sarah use to fuel. It has a revolutionary SuperStarch which is a natural, slow-releasing carbohydrate that keeps blood sugar stable and delivers steady energy to your brain and body. I was intrigued and will definitely try it out. It was so cool to meet friends from Twitter too! We saw Toni and Sandy. Here’s a pic with Kat and Graham. We met Bart Yasso! He even used my phone to take the selfie below. 🙂 On Saturday, we went on an architectural boat tour. It was a nice way to stay off our feet and great to see Holly again. For Saturday’s dinner we met up with more Twitter friends: James, Kat, Deb, and Graham at Tufanos. Dinner was great and another wonderful meet up. I must say it was an awesome week. I did miss my family back home but this was such a memorable experience. How’d your week go? Have a super week ahead! I’m linking up with HoHo Runs and MissSippiPiddlin for the Weekly Wrap. Congrats! 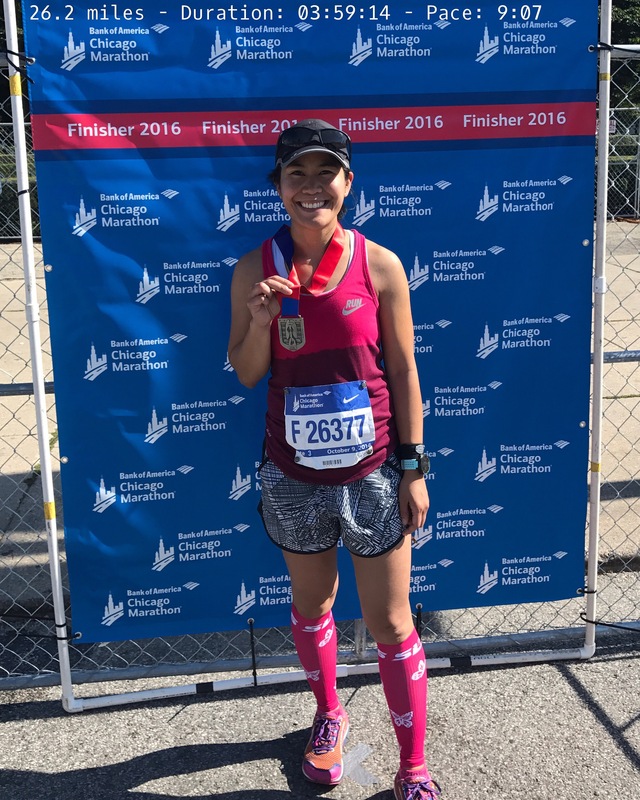 I am glad that you had a great race and enjoyed Chicago! I thought the race and crowd were excellent! Thanks Heather! I agree, the race and crowd were excellent! Congrats to you! I’m so embarrassed that I got you and Sharon mixed up. As if that never happens! But so glad I got to meet you both! Congrats on the sub-4! What a fun weekend! Haha, it happens ALL the time! No worries! So great to meet you! Thanks! Yes, so fun! Thanks Sharon! Not sure..
Oh man, the bottle guilt continues! 😦 Haha! Haha. Don’t worry about it! That was my bad! There is just so much fun in this post! 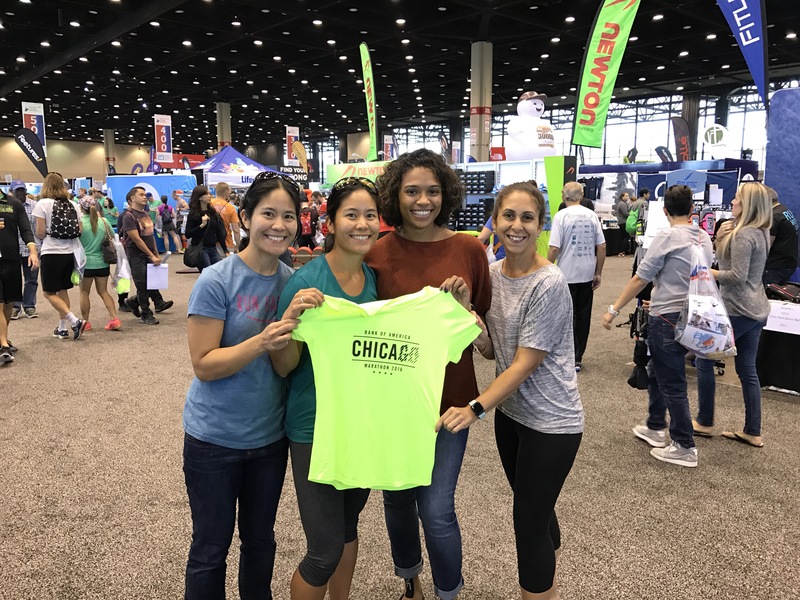 Wow, Chicago is done and you had an amazing finish! So very jealous you got to meet so many cool people! Congrats to you again on the PR!!! It was wonderful to meet you and Sharon. 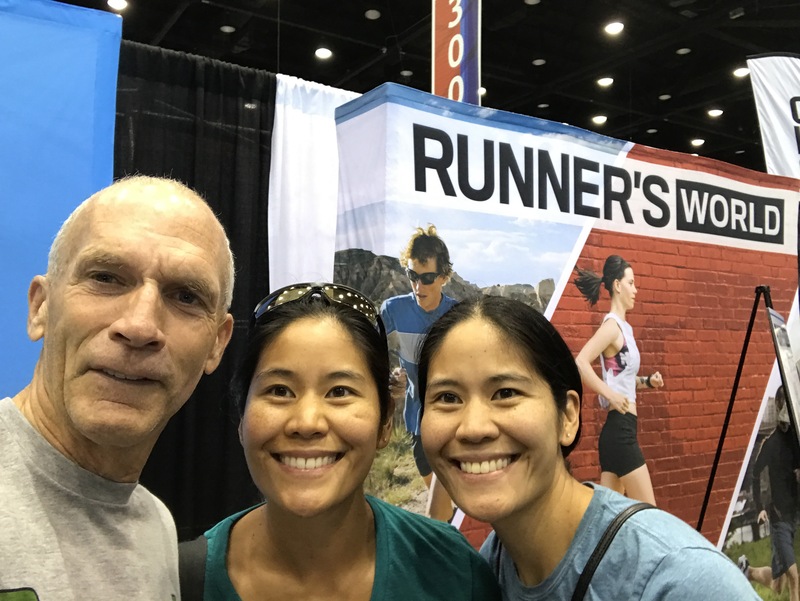 Can you believe the amazing opportunity we had to meet Meb and Sarah? I got so sleepy during that boat tour. My apologies. Usually, I’m a little perkier than that! A huge congratulations on your finish time and PR. Thanks for linking, Sherry! Thanks Holly! So wonderful to meet you too! It was such an amazing opportunity! I still can’t believe it. No worries about the boat tour. Thanks again for having the link up!